This edition is a set of two volumes, each sold separately. Jheronimus Vinders is best known as one of the three composers who wrote a lament on the death of Josquin des Prez. A closer study of his works has shown that this limited reputation does not do justice to Vinders and that his works bear comparison with those of his more famous contemporaries. As one of the rather small group of Flemish composers that links the Josquin generation with that of Clemens non Papa and Thomas Crecquillon, Vinders blends old and new compositional approaches, with some works paying respect to earlier traditions and others falling more in line with the musical developments that led to the pervasive imitation of the 1530s and beyond. Vinders’s oeuvre consists of eight motets, the lament for Josquin, three Dutch polyphonic songs, and four or five masses. 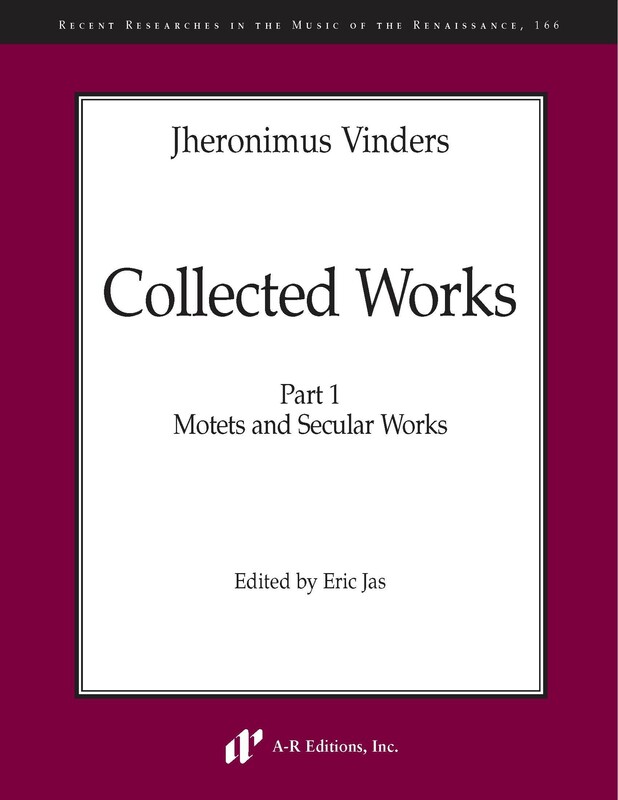 This edition presents these works in two parts: the first devoted to the motets and secular works and the second to the masses.